The Bush theatre in west London has appointed a new artistic director who will take over from Josie Rourke when she leaves to run the Donmar Warehouse. 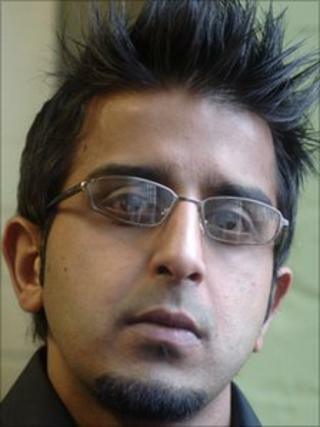 Madani Younis, currently the artistic director of the Bradford-based Freedom Studios theatre company, will take up the post on 1 January 2012. His appointment will follow the Bush's imminent move to new premises close to its present home above a pub. Younis said he was both "delighted and honoured" to be given the job. The director's most recent work for Freedom Studios was The Mill - City of Dreams, a site-specific work set in a derelict weaving shed in Bradford. Rourke, the Bush's artistic director since 2007, called his hiring "a deeply inspiring appointment at a big moment in the Bush's history". Since opening in 1972, the intimate theatre has been internationally celebrated for its discovery and nurturing of new writing talent. Previous artistic directors at the Bush include Dominic Dromgoole, now at Shakespeare's Globe. The venue will open its new home - a former library - in October with a production entitled Sixty-Six Books. The ambitious project will see 66 playwrights, poets, novelists and songwriters responding to each of the 66 books in the King James Bible.